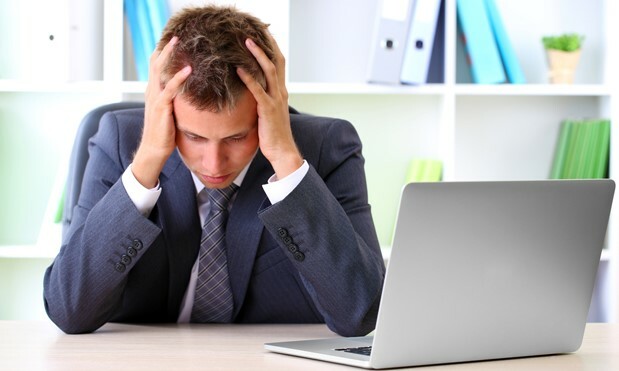 To feel stressed at work is quite normal, it’s a feeling we can’t escape and at some point during your working week you will feel stressed due to one thing or another, it’s a fact. One thing you must not do is allow your stress levels to control you and let it affect your productivity or even worse, your physical or mental health. You have to remember that you can’t control everything in your work environment, however the one thing that you will always have control of is yourself and your actions when difficult situations arise: it’s simply a case of reminding yourself this and not letting things get to you. How you deal with the situation could mean the difference between making things a lot worse or reducing your stress level. Prevention is the best cure. One of the most common causes of stress at work is lack of organisation. A tidy workplace is a tidy mind. To start thinking clearly you must have a clear vision of your cycle of events, schedule and responsibilities. Try to regularly consult your diary and make notes of important daily tasks, this will help you think a little more clearly. Pen tidy’s are good too! All work and no play is a playground for stress. It’s important to find a balance between work and family life, social activities and private time, daily responsibilities and idle time. If you can find a balance between these things, your stress levels will automatically reduce. Your brain has a way of naturally getting confused when you are faced with many different tasks at once, another cause of stress which can be prevented. Writing things down, making a list of tasks and even creating an order of importance will certainly prevent stress. To add to that, by getting the more unpleasant or important tasks out of the way first means that they won’t be on your mind all day, leaving you more time to think about other things – thus reducing stress. It’s easy to become distracted with constant interruptions, by reducing the amount of interruptions you could be faced with is another good way of preventing stress. Turn off your phone, avoid social media or personal emails, these are all things that will still be there when you have finished the job in hand. There are some interruptions that you do not have control of but you can respond to them in one of three ways; accept the interruption, cut it off or work out its importance and work out a plan to deal with it. Accept that you may not be able to do it all on your own. If someone else can do the task, why not let them take over? If you are the type of person who has the desire to control or oversee every little step in your office then try letting it go –you’ll be letting go of unnecessary stress in the process. Take a step back, take a look in the mirror. Are you getting enough sleep? Exercising regularly? After all you’re physical health plays a big part in your mental performance. Drinking energy drinks alone will not make you feel fantastic or in any way enhance your performance, well at least not in the long run anyway. Release some of the stress physically, your body may just be craving a good old exercise. Fit regular breaks into your day – working long hours may make you seem like you are working hard, but it may have an adverse effect and you lose productivity. Breaks can help you recharge and improve your productivity. Try it and see the difference. 10 ways to make a good impression.